You can get extra 20% off from Groupon on 3 local deals (use code: SUMMER20). The max discount you can get per deal is $50. The promotion is only valid till mid-night today. You need to act FAST. 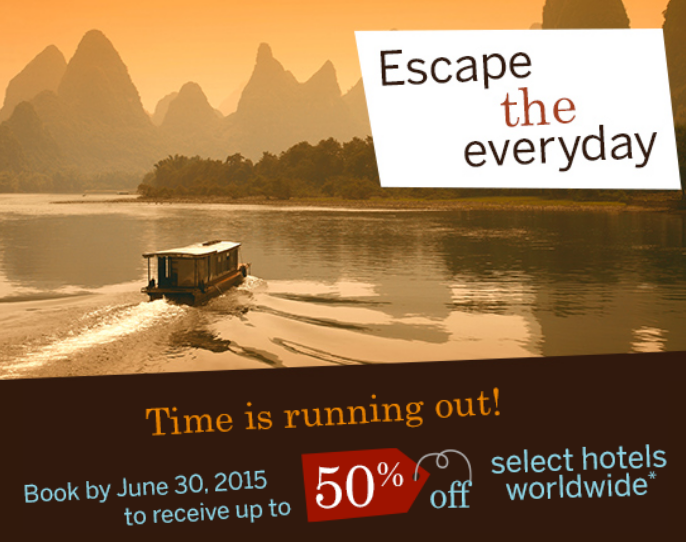 SLH (Small Luxury Hotels) is offering savings up to 40% off online. And you can receive a free room upgrade when it is available. Note: You'll need to pay in advance and it is non-changeable and non-refundable. You can get 25% extra bonus when you transfer your AmEx MR to BA Avios before Sep 30, 2015. So, during the promotion period, you can transfer 1000 MR to 1200 Avios, which is not a bad deal. I just converted all my MR to Avios. If you don't have AmEx MR points, you can applied AmEx Gold Rewards (FYF, 25000 welcome MR points) Card or AmEx Platinum Card ($699 annual fee, 50000 welcome MR points or 60000 welcome MR points with a referral link). If you need AmEx referral links for these 2 cards, please send me an email: canadianrewards@gmail.com. Thanks. You can get up to 50% off on hotel booking when you book through AmEx Travel before Jun 30, 2015. If you have AmEx credit cards (collecting Membership Rewards points), you can use MR to pay for your travel. You can earn up to $210 in Statement Credits by using your AmEx card before Jul 31 at participating merchants, including Lowes, HomeSense, Bed Bath & Beyond, Crate & Barrel, Bombay, Bowring and Bad Boy. Online registration is needed (the first 30,000 AmEx Cards to be successfully registered are eligible for this offer). 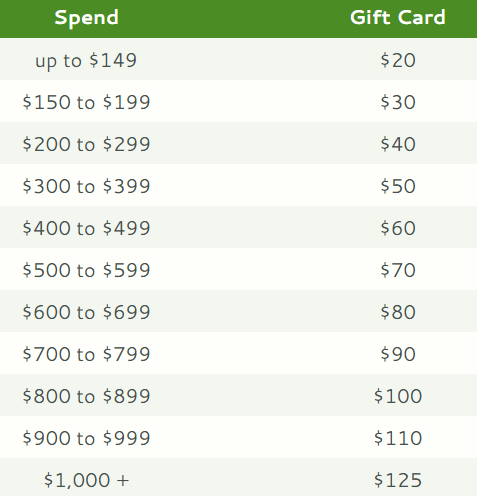 Once registered, you can earn a $30 Statement Credit when you spend $150 or more (including taxes) in store or online at any of these seven participating merchant locations in Canada by using your registered AmEx card ($30 for each brand, and you can get up to $30*7=$210 for one registered card). I registered 2 AmEx cards through this link, and hopefully can get $420 from this offer (someone says that gift card purchase from those 7 participating merchants is also qualified). 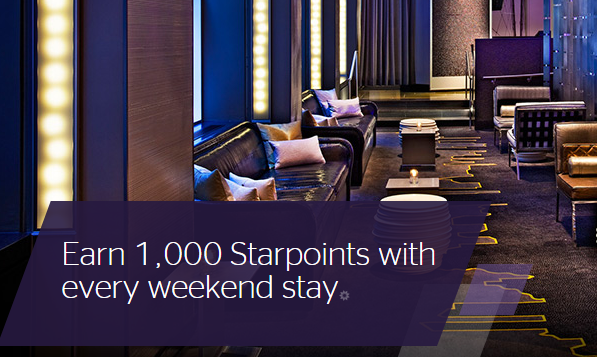 As a SPG member, you can earn 1,000 bonus Aeroplan Miles for stays at participating Four Points, Aloft, and Element Hotels in Canada before Aug 31, 2015. 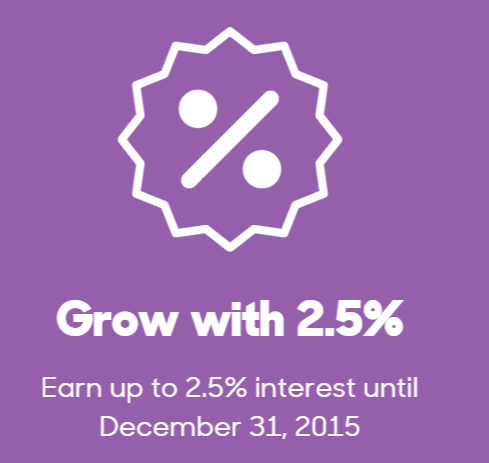 If you successfully participated in the previous Zag Bank offer, there is a good news for you: you can earn 2.5% interest until Dec 31, 2015. If you are NOT a Zag Bank founding client (opened an account before Jun 21), then you would need to deposit at least $1,000 to qualify for the 2.5% interest rate. Please check with Zag Bank for more details. If you subscribe PayPal email, you may find this offer from PayPal in your email box. You can earn $5 credit from PayPal if you link your bank account to your PayPal account before Jun 30. Of course, every time you pay with PayPal, you can still choose which funding source you want. I think it is best for PayPal that you pay everything through your bank account linked in PayPal. I still prefer paying by credit cards to earn the points. Note: the monthly fee for the HiVALUE PLUS chequing account is $9.95, and you can enjoy unlimited FREE Canadian Dollar money transfers to India. You can get a free weekend night (at any Sheraton, up to 3 times), when you complete 5 nights at Sheraton hotels Worldwide. The 5 nights don't need to be consecutive. Online registration is needed (registration doesn't start until July 9). The award nights can be used separately or combined and for any Friday, Saturday or Sunday nights through December 13, 2015. There is no limitation on the Category redeemed for. So, the best way to do it is to make your 5 paid nights at lower priced Sheraton and redeem the free night(s) at a Category 6 (or 7) hotel. You can save 15-25% off when you book 3 nights or more at any participating Canadian IHG hotels. Note: Rate is non-refundable, and must be paid in full at time of booking. Note: Bookings are Pre-Paid, Non-Cancellable and Non-Transferrable. Guests will receive their Gift Card per booking, not per night. Separate consecutive night bookings at the same hotel will not be considered multiple bookings and only the first night's booking will receive a Gift Card. On Jun 21, you can get 18,500 bonus Optimum points when you spend $75 or more in Shoppers Drug Mart. You can redeem this bonus points for $25 free stuff in the store (around 30% return, if you only purchase $75 before taxes). I think this is Shoppers Drug Mart's promotion for the Father's Day. Hilton HHonors is offering 5,000 bonus points per stay before July 6, 2015 (online registration required). This is a great offer (probably the greatest?) for one-night stay in Hilton hotels. What can you do with 5,000 HHonors points? You can redeem it for one night at Cat1 Hilton hotel. Basically, if you stay in a Cat1 Hilton hotel for one night before Jul 6, that night is free. This program is similar to the CIBC Bonus Rewards Program for CIBC Aventura/Aeroplan credit card holders. 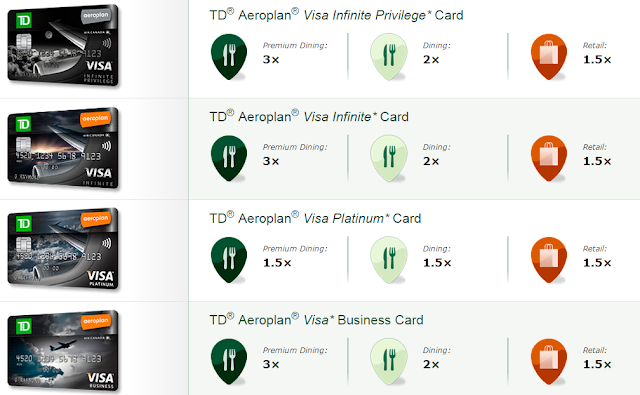 From what I see, the TD Aeroplan series credit cards are almost identical to CIBC Aeroplan series credit cards now. If you don't have a GCR account, you can use our referral link ( https://www.greatcanadianrebates.ca/Register/126795/ ), with which you can get extra $2.5 (and we can get bonus too. Our email is: canadianrewards@gmail.com). We appreciate you using our links where possible. WestJet announced its new Halifax to Gander route. 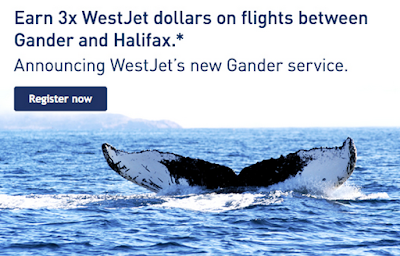 To celebrate it, you can get 3X WestJet dollars on flights between Gander and Halifax before Aug 16, 2015 (travel before Aug 31). Online registration is needed for this offer. 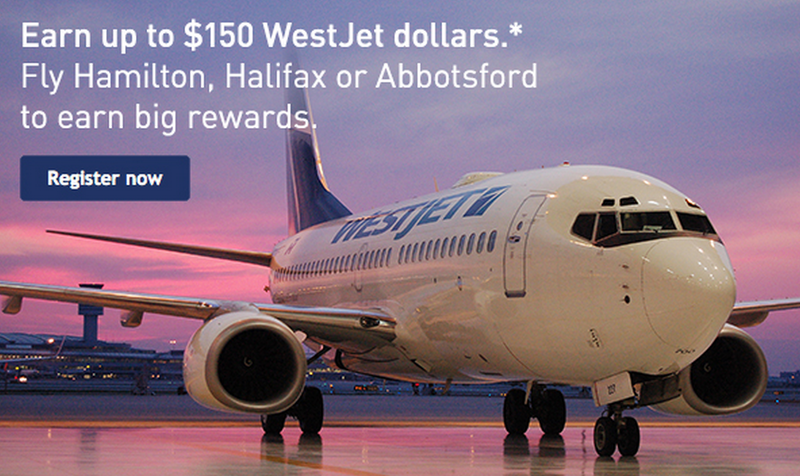 You can receive up to $150 bonus WestJet dollars when you travel to/from Abbotsford, Halifax or Hamilton. Online registration is required before August 31, 2015 (Travel before October 28, 2015). 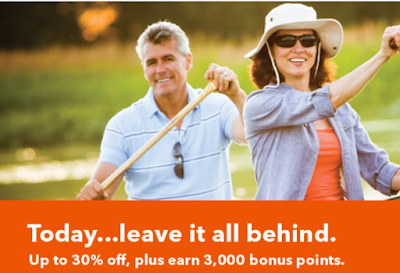 And before June 30, you can get 100% bonus points when you buy the IHG points online. So, if you buy 26,000 or more points, the price of a point is USD $0.00575. If you buy 60,000 points, you will get 120,000 points for USD $690. If you redeem the points through the IHG Point Breaks offer (5000 points/night), you can redeem 120,000 points for 24 IHG hotel nights. On July 1, ZenBanx customers can exchange Canadian dollars for U.S. dollars at par with no transaction fees for a single transaction up to $250, an appealing proposition when the loonie is trading at just 80 cents U.S.
Copa Airlines is a member of Star Alliance. They used to share the membership flyer program with United Airlines. Now, they have their own program, named Connect Miles. Register Copa Airlines' Connect Miles program before Jun 30, 2015, and you can earn up to 3000 miles. Three steps of your profile need to be completed to receive the bonus miles. You can earn 1,000 Bonus Aeroplan Miles per stay at Four Points, Aloft, and Element Hotels across Canada before Aug 31, 2015. Offer valid for Starwood Preferred Guest members (join for free). You can save up to 10,000 miles when you convert your Aeroplan miles into gift cards. Honestly speaking, I did not find the one that I can save 10,000 miles. Most of the promotion that I checked, I can save 500 - 5000 Aeroplan miles. This is not a great offer, but it may be useful if you plan to convert the miles anyway. 2. 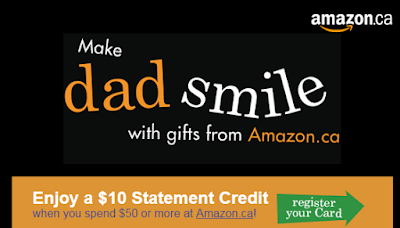 Once you've registered, use your registered AmEx Card to make a single purchase or cumulative purchase total $50 or more at Amazon.ca before July 8, 2015. Step 1: Select a Plus/Performance/Premium plan by Aug 31, and transfer your payroll (or pension deposit) to the new account and make 2 bill payments by Oct 31, 2015 (Get $200). Step 2: Apply for a BMO CashBack World Elite MasterCard card and make your first payment from your BMO Chequing Account by October 31, 2015 (Get $105). Plus receive a one-time annual fee waiver of $120 for the first year (this is actually a promotion for this credit card now). So, really it's only $305 bonus. You will get the bonus before Dec 31, 2015. Before June 30, Best Western Rewards members can earn 3,000 bonus points on qualifying rentals of 5 or more days at participating Budget locations in the United States and Canada. Besides this bonus, you can still get 1,000 base points. To get this bonus points, you need to use coupon # MUHZ013 and provide your Best Western Rewards number at the time of reservation. Note: You can also save up to 30% when you use BCD # U187003 at the same time. Scotiabank has increased the sign up bonus for the SCENE Visa card. You can get 4000 bonus points (= 4 free movies in Cineplex) with a new SCENE Visa before Oct 31, 2015. The regular offer is only 2,000 points. To be eligible for the 4,000 bonus points, a purchase must be made within 60 days of opening your SCENE VISA account. 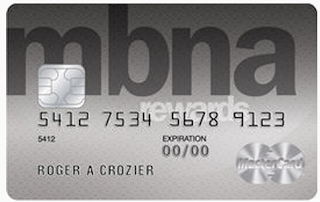 BTW, if you apply this credit card through GCR, you will get additional $45 cash back Rebate until Jun 10. If you don't have a GCR account, you can use our referral link ( https://www.greatcanadianrebates.ca/Register/126795/ ), with which you can get extra $2.5 (and we can get bonus too. Our email is: canadianrewards@gmail.com). We appreciate you using our links where possible. RBC Avion Credit Card holders can earn 50% bonus points when they convert their RBC Rewards points into BA Avios before July 15, 2015. This is a good chance to transfer your RBC points to BA Avios. BA Avios is famous for short/medium haul within North America. AmEx MR used to have similar offer before, but not any more. SPG has released a promotion called Make it Count. With this promotion, you can earn 1,000 bonus SPG points when your eligible stay of two nights or more includes a weekend night. Registration is needed by August 15, 2015. You can see the details from SPG website.